APThis guy will be putting a lot of iPhones under trees this year. Apple is on track to sell a record number of iPhones this holiday quarter, according to a new report from BI Intelligence. Apple analyst Ming-Chi Kuo, who’s really plugged into what’s happening with Apple’s supply chain, estimates Apple will sell about 71.5 million iPhones this quarter. Most of that demand is driven by the two new iPhone models: The iPhone 6 and iPhone 6 Plus. Those phones have larger screens like most other high-end devices, which is one of the key features iPhone owners wanted. According to a survey from BI Intelligence, 55% of people who plan to buy a smartphone in the next six months will buy an iPhone. 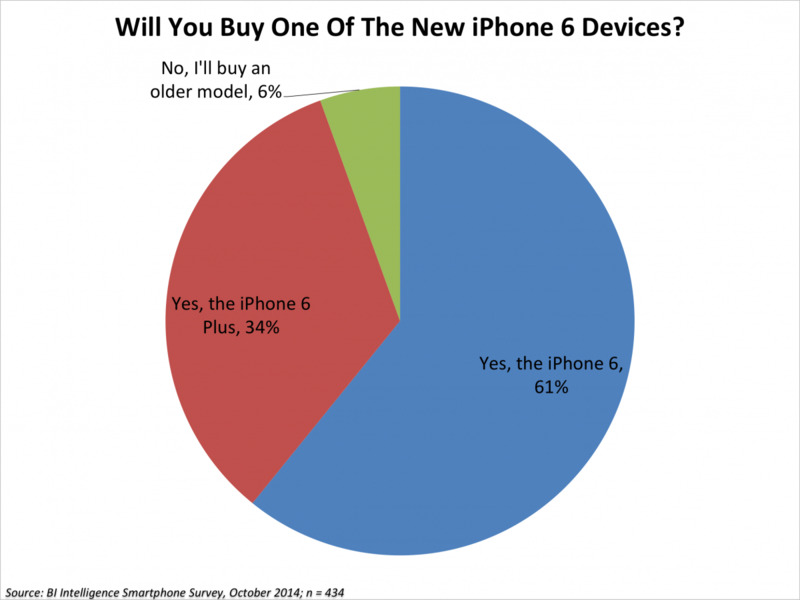 Of those, 95% plan to buy either an iPhone 6 or iPhone 6 Plus. The rest will buy one of the older, cheaper models like the iPhone 5S or iPhone 5C. 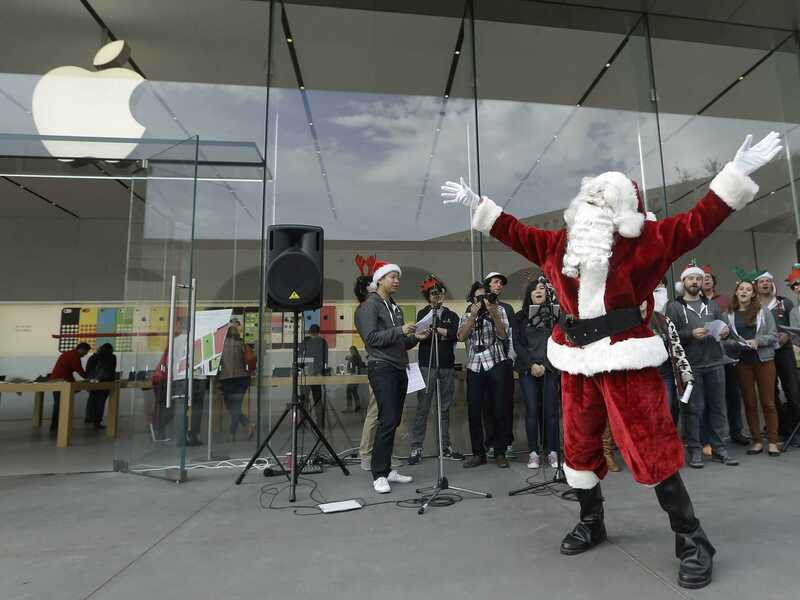 There’s a lot of pent up demand for the iPhone 6 and 6 Plus. On Apple’s last earnings call, CEO Tim Cook said the company is selling every unit it makes. It’s still difficult to just walk into an Apple Store or your carrier and buy the model you’re looking for. Wait times for Apple.com iPhone orders have dropped to about a week though. Meanwhile, investors seem happy with Apple’s holiday quarter prospects. The company’s stock has been trading at all time highs and its market cap passed $US700 billion Tuesday morning.